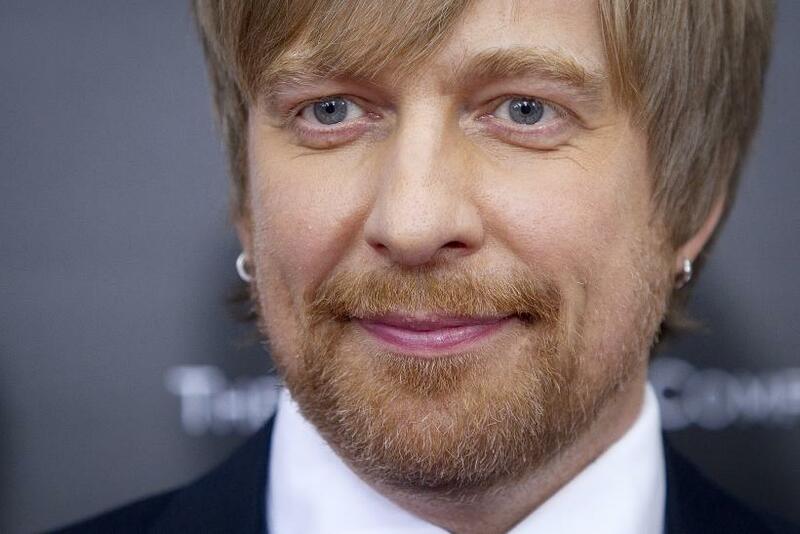 It is likely that not many members of the Academy of the Motion Picture Arts & Science had heard of Norwegian filmmaker Morten Tyldum prior to his lauded English language debut, “The Imitation Game.” Now with eight Oscar nominations, including one for best director, the School of Visual Arts almost alum (he left in his final year to pursue a job opportunity back home) stands a good chance of seeing his film take home one of the coveted gold statues on Sunday. Starring Benedict Cumberbatch and Kiera Knightley, “The Imitation Game” is based on the story of Alan Turing, the celebrated English mathematician credited with advancing computing during WWII to crack Germany's sophisticated Enigma Code. Because of Turing’s conviction for engaging in a homosexual act, the British government imposed a punishment of chemical castration. The side effects and associated stresses led Turing to commit suicide just before his 42nd birthday. Tyldum spoke with us ahead of the Academy Awards to discuss how “The Imitation Game” has changed his life and the lives of other men convicted by the British government for homosexual acts, and the importance of making movies about these previously forgotten stories. International Business Times: You made the jump to Hollywood for “The Imitation Game.” Was it hard to move over to a new industry with a new cast and crew? Morten Tyldum: This story attracted a lot of people, so everybody wanted to come on board to tell this story for a fraction of their usual salary. I also got paid less than I usually did, but that was the deal. Everybody gave up things because it was a passion project. You can do this with these smaller films. “The Imitation Game” was an independent film shot for $15 million. It becomes bigger because the story’s so big. I will only do things I’m 100 percent passionate about. I’m so happy now that all of these people who did [the movie] out of love, out of passion and out of respect are getting all these nominations from all these guilds. I’m so happy they’re getting rewarded. IBTimes: In an earlier interview, you mentioned you didn’t know much about Alan Turing’s story. What sparked you to make the movie about his life? Tyldum: I had heard about the Turing Test and Turing Machine without knowing what it really was. I think it’s impossible to not be touched or fascinated or outraged when you read his story. It’s like discovering Einstein. Why is he [Turing] not on the front cover of my history book? This man did all these amazing things, and he’s in the shadows of history. It’s all because he has this shameful ending as a gay man, where he’s ridiculed and his work suffered, and MI-6 kept everything [he did] secret for decades. I’m lucky to tell his story on the big screen. This is a story that deserves to be told. Alan Turing is becoming a household name because of this movie. Some people have said, “you made this crowd pleaser,” but this is about a gay English mathematician in the ‘40s who kills himself. It could have very easily not have been a crowd pleaser. I’m happy that the movie is reaching out to a lot people and introducing Alan Turing to a lot of people around the world. IBTimes: Part of that success is because you found a very convincing Alan Turing. How did you finally select Benedict Cumberbatch for the role? Tyldum: I always pictured Benedict when I was reading [the script]. I’ve seen his work on different TV shows and movies like “Tinker Tailor [Soldier Spy].” I wanted an actor who could portray the complexities of the character. He’s a marathon runner, he’s arrogant, and at the same time, he’s very awkward in social settings. He doesn’t care what you think about him, but he’s this man who’s carrying all these secrets. Benedict is able to portray all this. The camera can just linger on him, and you can see what goes on behind his eyes. Not every actor can do that. He loved the script, his dad went to the same school as Turing. Later, we found out that Benedict is related to Turing. I think they’re 17th cousins. So, I really casted well. IBTimes: To balance Turing’s coldness, you have Kiera Knightley’s character, Joan Clarke, who’s kind of his opposite. How did you decide to develop her character? Tyldum: She really related to Joan, this woman who wasn’t appreciated for being intelligent. Joan Clarke could have been a professor, but she wasn’t even allowed to be a fellow. She was not allowed to work. But women ran most of Bletchley Park [where most of “The Imitation Game” is set] in clerical work or as linguists. She started as a “big room girl” where most of the clerical work happens, and Alan brought her in. She had to fight hard to get a place at the table. These two were in many ways outsiders; they weren’t seen and recognized for who they were. They had to make themselves likable in order to be around the men. They find each other and develop this intense friendship that’s so meaningful. We saw an interview that the BBC did with her [Clarke] when she was 92 years old. She talks about Alan with such love and tenderness. It felt like that was the love of her life. It’s two love stories in this movie, because the other one is about unfulfilled love. We know Turing kept writing letters to Christopher’s mom, so we know he’s important to Turing. Alan never really had a long-term relationship. Christopher [a schoolmate of Turing’s who died young] was someone he never really got over. IBTimes: You fit in a lot of Turing’s life into the movie, from his childhood, war years and persecution. How did you decide to layer the story? Tyldum: That was the biggest challenge, how to fit it all. And how do you make it thrilling? In the scene where everything in the decryption works, that was hard to make visually interesting and tell everything. It could be very dusty and very boring. The climax is when the machine stops and everything is quiet. IBTimes: Would you like to continue to keep working in historical dramas? Tyldum: I never thought I would do a historical drama! The next movie I seem to be doing is a sci-fi, but I like that. I like that I can be passionate about different things. We’re having a real physical impact with this movie. The attention to the homosexual law may get who's ever been convicted by this law a pardon. That’s a huge victory. Why should Alan Turing get a pardon, and not everyone else? They didn’t do anything different. I got a very touching email from a 92 year-old man who had been convicted by the same law as Alan Turing thanking me. He said he watched the movie in tears and thanked me for shining a light on this story. How many families, how many lives, had been affected by this? IBTimes: And on Oscar Sunday, what’s going to be on your mind? Tyldum: I’m just going to have fun and be in the moment. This is all like a dream come true. This is my first attempt in doing something like this. This is like the warmest welcome ever, first the DGA [Director’s Guild Award] and then the Oscar. I’m just going to enjoy it. Not be nervous or stressed, just savor the moment.